Kwa Maritane Bush Lodge is located in the malaria free Pilanesberg National Park, home to a wide range of game and bird species. 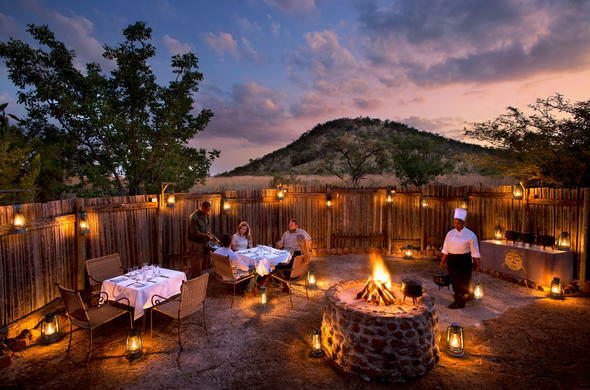 Kwa Maritane Bush Lodge is located on the slopes of an ancient volcano. This Pilanesberg lodge offers not only the amenities of a prime resort but is situated on the doorstep of the malaria-free Pilanesberg National Park. Kwa Maritane is the place, where Mother Nature and civilization meet in perfect harmony. All rooms at Kwa Maritane Bush Lodge are individually air-conditioned. Guests can enjoy the tranquility of game drives in the Pilanesberg National Park or action and entertainment of nearby Sun City.